I'm back again today with another sketch challenge, this time with Freshly Made Sketches, with FMS293 being set by Karren. This is my interpretation of the sketch, however, I turned it on its side to fit the stamp I had chosen to use. 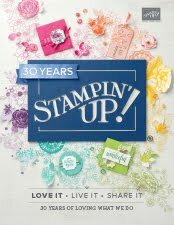 Floral Statements stamp set #143738 (W) #144701 (C) is by Stampin' Up! and I'm still having lots of fun creating with lots of 'new' products ! Don't you just love my new favourite In-Colour, Lemon & Lime Twist ? So pleased it's here for at least two years. The co-ordinating Fresh Florals Designer Series Paper #144131 matches perfectly. 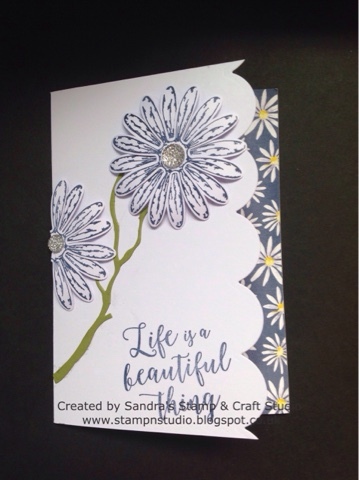 I then 'fussy cut' some cute little stamped flowers from Happiest Birthday Gorgeous #143662, outlined in Basic Grey and in-filled with Lemon & Line Twist inks. To finish, I added a few Rhinestones Basic Jewels #144220 and new Faceted Clear Gems #144142. Thanks for joining me today and I like you have enjoyed my interpretation of this Challenge. If you would like to see more ideas on this sketch, click HERE to see more creativity from fellow challenges. I look forward to seeing you back here again soon. A hearty welcome to the summer and the glorious heatwave we've been having here in the UK. 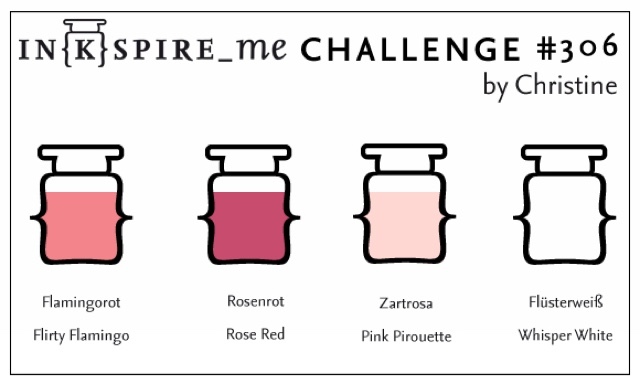 Today I entered another challenge, this time over at In(k)spireme.com. 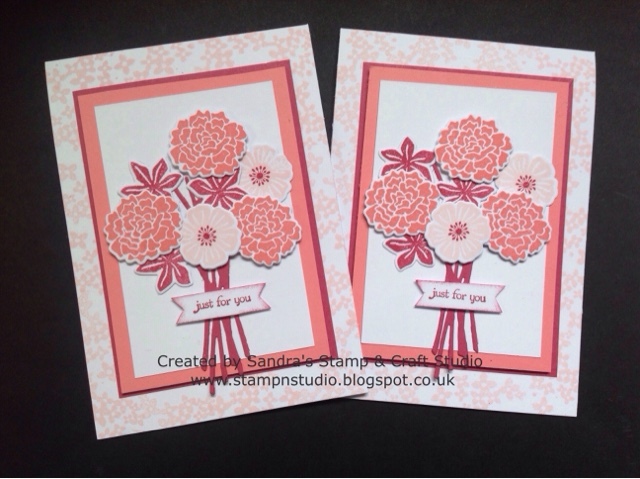 Christine set this weeks challenge of a monochrome colour combination in shades of pink. Fresh and lightweight and girly. 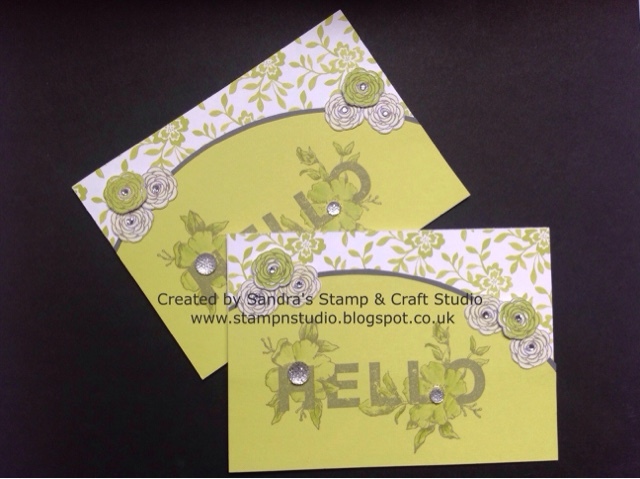 Here I have used the Beautiful Bouquet bundle from the NEW Stampin' Up! Annual catalogue 2017-18. The flowers have been stamped in Pink Pirouette, Flirty Flamingo and Rose Red then cut with corresponding die through the Big Shot. For the background I used the cluster of small flowers stamped round the edges using Pink Pirouette ink and a sentiment from Teeny Tiny Sentiments. I hope you like my interpretation of today's challenge and look forward to seeing you back page re again soon. 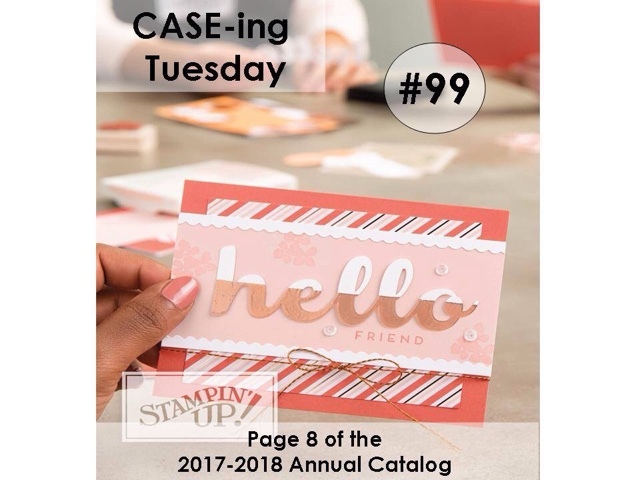 Today I decided to take part in an online Facebook challenge group called CASE-ing Tuesday, who CASE (copy) from the Stampin' Up! catalogue every Tuesday. We can change nothing, a little or a lot depending on the card. 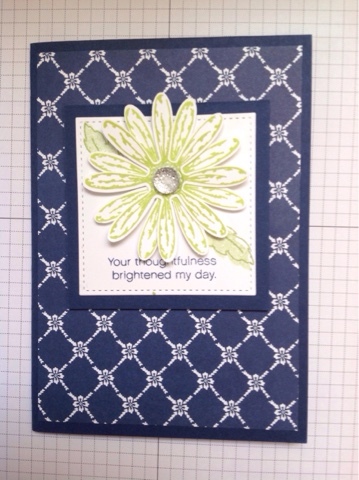 CASE-ing is a great way to try new styles and improvise stamping. 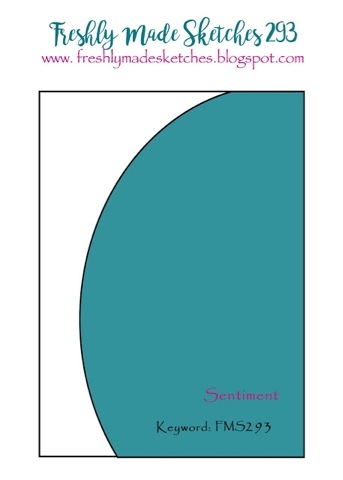 Here is my card using the above as inspiration. I have used Powder Pink card base and co-ordinating Fresh Florals Designer Series Paper #144131, one of the gorgeous new In-Colours. The White borders have been made using the Ticket Tear Border punch #143718. 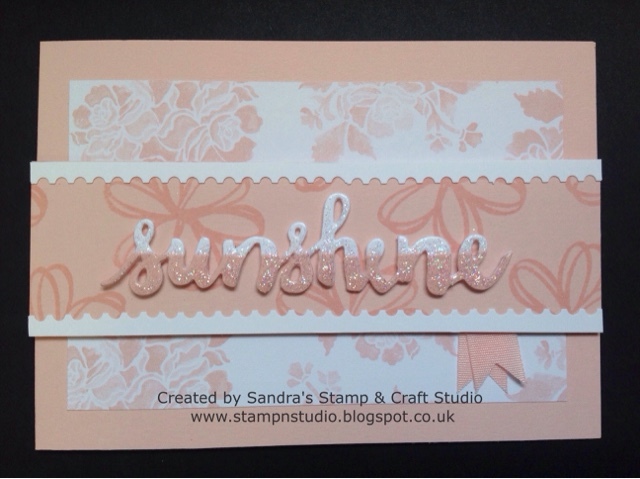 To recreate the split coloured word, I die-cut two sentiments from Sunshine Wishes Thinlits #141489 and cut one in half, sticking all those fiddly little bits onto the second colour with our Fine-Tip Glue Pen #138309. 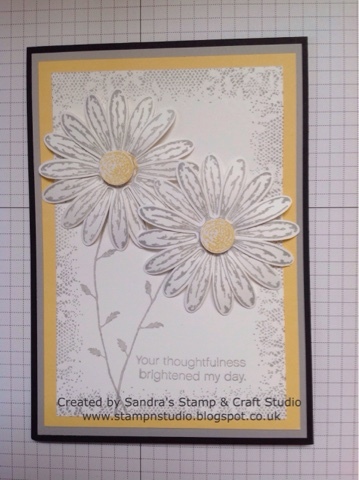 After mounting the sentiment on with new Mini Stampin' Dimensionals #144108, I applied a layer of the same Fine-Tip glue over the top and sprinkled lightly with Dazzling Diamonds Stampin' Glitter #133751. I love this effect. I've loved grabbing my supplies to create from a themed challenge again and will definitely try to and fit one in once a week. 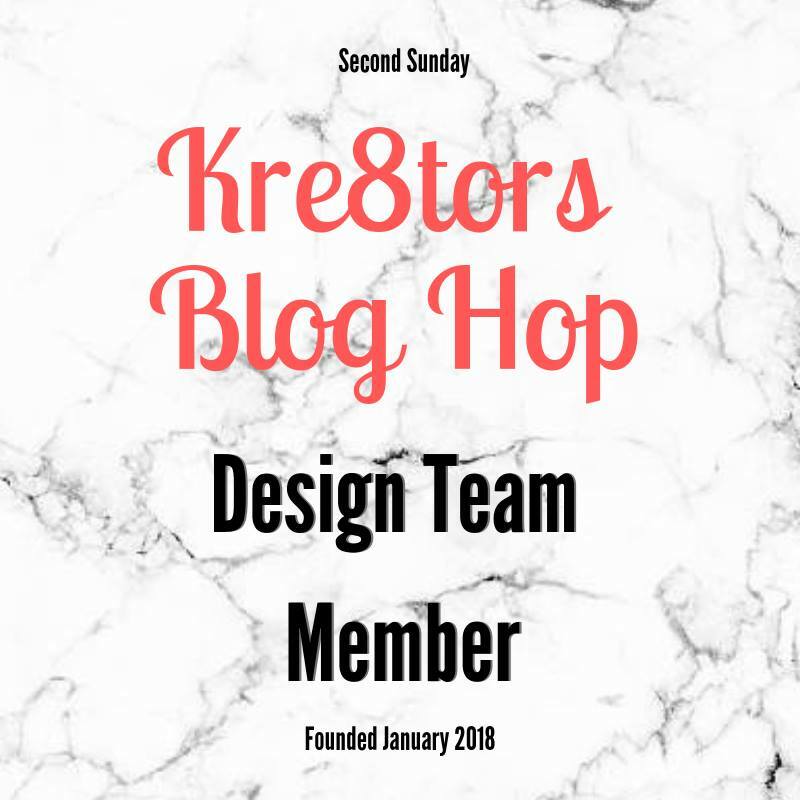 This morning our local Crafty Inklings team our sharing our latest Blog Hop. Hopefully you will have joined me from Rebecca and her gorgeous creations. 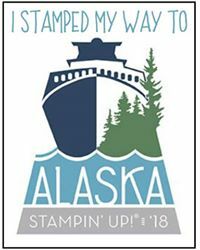 I'm loving the ***NEW*** Stampin' Up! 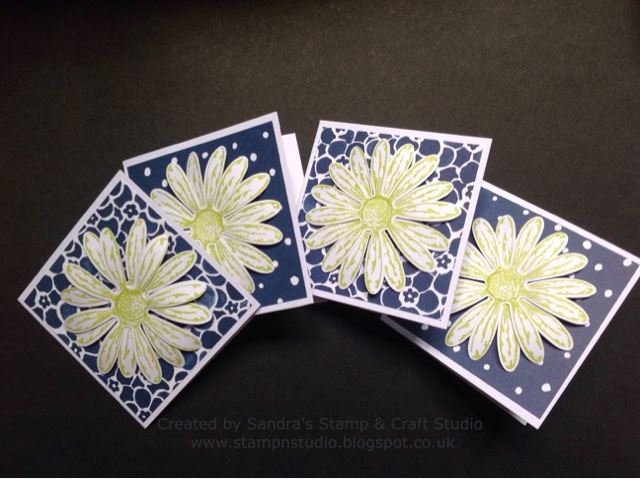 catalogue and thought today I thought today I would share some projects using the gorgeous new Delightful Daisy Suite. 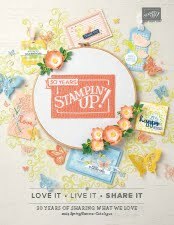 Here is the swap I made for this months Stampin' Up! Demonstrator UK swap, where a bunch of Demonstrators create a project with a set theme and then make one for each person taking part that month. I love seeing the ideas that everyone creates so can't wait to receive my swaps shortly. My next card is was created for last months team 'Shoebox swap' where everyone who attended created a project for all the other attendees to create. This Daisy has been so popular and here are a couple of my display samples CASE'd from fellow Demonstrators shared on our Global Facebook group. 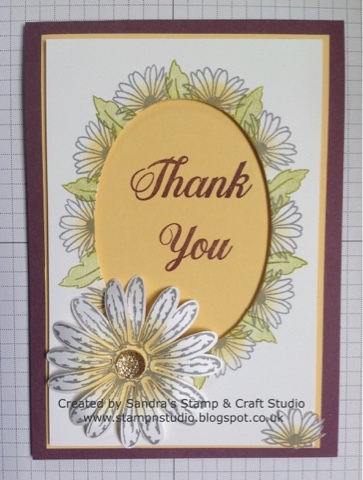 I then couldn't resist making a few of these as mini notelets or 'thank you' cards, using up some sadly retired Designer Series Papers, and created more together when a few team members popped in. Enjoy your hop and carry on your tour here to Cheryl and see the wonderful projects the rest of the team have created.